Everyone, male or female, over the age of 17 is welcome to join us. 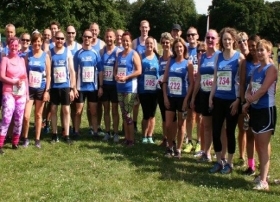 Whether you want to use running as a means of getting fit or meeting new friends, Castle Point Joggers is the running club for you. If you are in the Benfleet, Thundersley, Hadleigh, Rayleigh or Canvey Island areas you are most welcome to come and join us. If your plan is to get fit and you want to burn off those calories then why not come along on a Tuesday evening? We meet at 7.15pm for a 7.30pm start at the old fire station every Tuesday. If you can run 2 miles without stopping you will be fine. If not then just keep an eye out for our beginners sessions that we regularly organise.